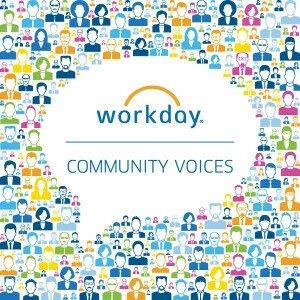 Welcome to Workday Community Voices, a new blog series that will feature insights and perspectives from Workday customers and partners. Today we feature a Q&A with Gary Roberts, senior vice president and CIO for JDA Software. Roberts has served in executive IT leadership roles for more than 20 years and across multiple industries including financial services, manufacturing, and technology. He’s been with JDA Software since 2012, and led the company’s selection and deployment of Workday Financial Management and Workday Human Capital Management. What’s the biggest challenge facing your profession today? Many people in our profession would identify information security in all its forms as the biggest challenge we face. Although security is a pressing issue, we face an even greater, hidden challenge: technology lifecycles. Because technology lifecycles have become so miniscule, fewer of us are able to keep up with the rate of change and understand how technologies create effective, lasting solutions that truly provide value. When we couple this dilemma with the overall lack of technical depth and breadth of IT professionals today, we end up with a “witches’ brew”; quickly changing technologies with fewer and fewer professionals able to truly understand how to employ them effectively and strategically. You’ve worked as an IT executive in several different industries. Was the role similar in each industry, or were there distinct differences? Being an effective IT executive comes from recognizing that the role is highly situational. In fact, the greatest mistake an IT executive can make is assuming the tool kit he or she used in a prior company or industry can be effectively utilized in one’s current company. Each industry has its own transitional pressures, and each company is comprised of different people. A great example is the sales approach known as omni-channel retail. The idea that consumers would have multiple ways of fulfilling their purchasing desires—have the ability to instantaneously examine a product at Vendor A, yet order it from Vendor B, and then be able to pick it up at a location close to their home—was not even a possibility five years ago. Now, these consumer behaviors are changing the entire retail supply chain. Banking is another example of an industry greatly changed by technology. Mobile banking—including electronic payments, remote document capture, and electronic approvals—has all but eliminated the need for branch banking. The intellectual capital represented by a company’s associates also plays a key role. While there are certain parts of an IT executive’s role that are similar (day-to day-operations, security, etc. ), each industry and company have specific pressures and needs that require an IT executive to respond differently. What’s your process to reaching a tough decision? Tough decisions should be few and far between if you are managing well across the organization. But when they do arrive, it’s important to quickly place the necessary attention on the decision. I think the Stephen Covey rule, “seek first to understand,” is the best starting point. Get an understanding by talking to people but also do your own research to understand the facts. Take the time to understand what fears are driving the situation. Sometimes tough decisions are created because people are fearful of moving forward into new territory. Recognize that making an unpopular decision might be—at times—the best thing for a team or individual. Last, after examining everything, go with your gut. It is rare that one’s intuition about a situation is wrong. How do you bring out the best in your people? I’ve managed people for 30 years. People are relatively simple: We all desire validation in some form, and the best managers understand that each person’s desired validation is different. As a manager, one’s job is to take the time to set the office energy to “acceptance.” Wow! That’s new age, isn’t it? When people feel accepted, they are more likely to share what makes them tick, including the validation they are seeking. For some, it is money. For others, it is just a genuine validation that they are seen as worthwhile. The spectrum is broad—we are all unique in this regard. Once the intimacy of this communication is reached, a manager and associate can mutually understand the concept of interdependence. Yes, it is true, real success is only reached in collaboration with others. People who understand fear (false evidence appearing real) and can recognize and admit what their fears represent, are the most powerful sources of unleashed creativity on Earth. My superpower would be the ability to help people understand their fears and move towards unleashing their creativity to do what others would consider impossible.